Good: Bryce Harper. Yes, I did start with the low hanging fruit, but rightfully so. 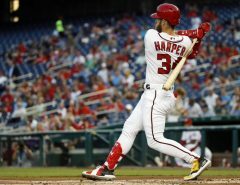 Harper has six homers in ten games, is getting on base more than 50% of the time, and looks fully healthy in an important year for both him and the franchise. Stop listening to clueless people talk about where he might leave the Nationals after the year ends and enjoy watching where he actually is. By the time you finish reading this he will have probably homered again and walked twice more. Bad: One Cincinnati fan’s perception of Bryce Harper’s talent. If you have watched Harper as much as I have the last half-decade, you know he enjoys big moments and proving people wrong. This moment was so perfectly timed that even Dictionary.com decided to get involved. Ugly: Brandon Kintzler’s week. Since Opening Day when the Law Firm locked down the final three innings, the former Twins closer has gotten rocked. 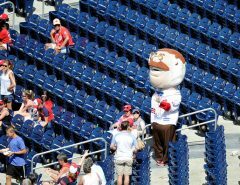 Six hits and four walks in three innings of work across three nights against the Mets cost the Nats seven runs and left Kintzler with two losses. 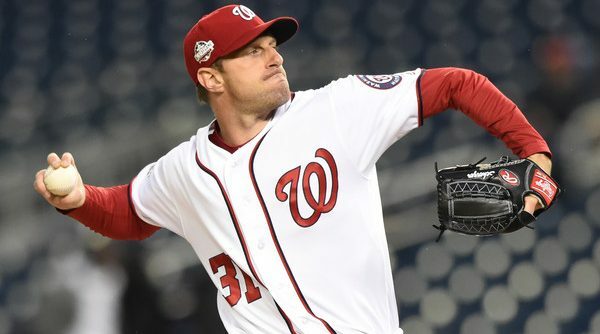 Considering he allowed only ten runs in 27 appearances upon arriving with the Nats last year, he needs to seriously rebound to keep his role as a late-inning staple. Good: Scherzer’s “bad” games are still good. Yes, Max was tagged for five runs in his second start, yet three of those were unearned thanks to an unfortunately-timed Wilmer Difo error. He lacked command and put away stuff, so naturally, he still went five innings with seven strikeouts. He is going to have off nights like this even as one of the two best pitchers in the National League. Want proof he is one of the best in the game? His “off night” still has him entering his third start with a 1.64 ERA. Plus, he rebounded with a two-hit complete game shutout. Bad: Teddy winning races. This is real, and yes, it is a problem. Listen to Court Swift on this one. Ugly: Decision-making on the basepaths. The Mets won on Sunday night in extra innings thanks in large part to the Nats giving away numerous opportunities to win the game because of baserunning mistakes. Trea Turner was thrown out between third and home on Michael A Taylor’s infield single despite receiving the stop sign from notoriously anti-stop sign third base coach Bob Henley. Bryce Harper failed to take third base in the ninth inning on a terrible pick-off attempt and subsequently did not score on Matt Adams’ long fly ball. Both Bad and Ugly: ESPN’s inability to pronounce of Tony Two Bags’ last name. Unlike Astros reliever Hector Rondon, Anthony Rendon has an ‘E’ in his last name. Sunday Night Baseball spent most of the night pronouncing the latter as they would the former. This is not a statement on the quality of their broadcast as a whole, but more of a continuation of the general lack of respect that one of the game’s best, and most underrated, players consistently receives. Do better, ESPN. Good: Baseball is back. It is still April, the standings really do not matter yet, and we have another five or six months to enjoy the greatest sport being played by one of the best team of players in the world. 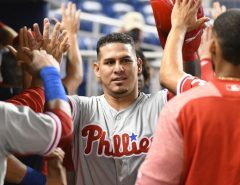 Stop worrying (at least until Memorial Day, then go at it) and enjoy watching the ultra-talented 2018 Washington Nationals. Unless AJ Cole is pitching, you can turn those games off.